Marvel News: Benedict Cumberbatch IS Doctor Strange, Ryan Reynolds IS playing Deadpool, and Krysten Ritter IS Jessica Jones! 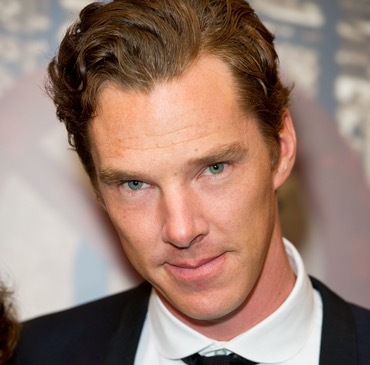 It had been rumoured for a while, but now it’s official – Benedict Cumberbatch has been cast as Marvel’s Doctor Strange. The movie is set to hit screens in 2016, when Benedict will get to dabble in the magical as the Sorcerer Supreme. He may, possibly, make an appearance in Avengers : Age Of Ultron too, although that’s entirely speculation at this point. Next, one of the longest running ‘will they won’t they’ stories of recent times is finally settled. Ryan Reynolds is going to be starring in a Deadpool movie in 2016. I have to say, this was a no-brainer for me… If you’d been to a Comic Con in the last year, the amount of Deadpool cosplay around was getting to Harley Quinn levels, so there’s clearly a lot of love for the character. And given the awesome test footage that was released earlier in the year, who could blame them! And lastly we move to tv (or rather streaming) land. Marvel have announced the lead for the 2nd of the 4 shows they are making with Netflix after Daredevil. Krysten Ritter (Breaking Bad, Don’t Trust the B—- in Apartment 23) will play former hero turned PI – Jessica Jones. This will be a 10 episode season, followed by a team up miniseries called The Defenders, Charlie Cox as Daredevil, Ritter as Jessica Jones, and the as yet uncast Iron Fist and Luke Cage. i’m excited by this choice of Dr Strange, Cumberbatch is a very good actor and his high profile will only give gravitas to the role. 2016 is looking a great year for comic book movies.